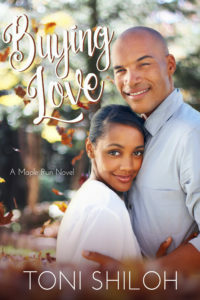 Buying Love by Toni Shiloh is an interesting book with a colorful plot. After all, in today’s day and age, it’s not very often that a woman would place an ad to find a husband, but that is exactly what Nina does. Nina and Dwight both fall into the trap that we often fall into of trying to rely on ourselves to solve our problems, rather than leaning on Christ. I felt that there were some scenes that dragged a little, but I enjoyed the plot enough to keep reading. I’d give this book three stars. Thanks for taking the time to review Buying Love. I appreciate it! It sounds like my kind of story!